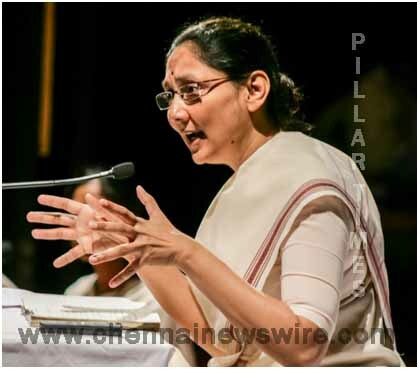 Sunanda Parthasarathy is the daughter disciple of internationally acclaimed philosopher Swami Parthasarathy of The Vedanta Institute. Under his guidance, Sunandaji has been imbibing Vedanta, the ancient philosophy of India for over three decades. Sunandaji will be in Chennai from June 23 to 27 (Saturday). The lecture series will be at The Music Academy between 6.30 to 8.00 pm. The focus this time will be on Chapter 11 of the Bhagavad Gita. Sunandaji will be in Chennai from June 23 to 27 (Saturday). The lecture series will be at The Music Academy between 6.30 to 8.00 pm. The focus this time will be on Chapter 11 of the Bhagavad Gita. In this Chapter, Lord Krishna is beseeched by Arjuna to reveal His universal form showing all of existence . Thus this chapter is entitled: Viswarupa Darsana Yoga or The Vision of the Universal Form. 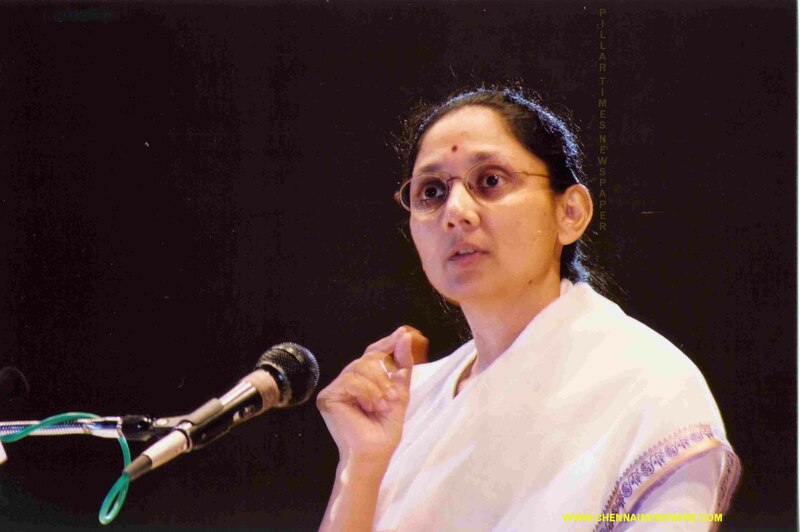 Dedicating her life to the propagation of Vedanta philosophy, Sunandaji has addressed diverse audiences across four continents for the past twenty years. Her clear and powerful presentation of ancient wisdom in contemporary thought has been acclaimed by prestigious organisations including the Young Presidents’ Organization and many leading universities around the world. Everyone is welcome. There is no entry fee.